Swirling guitars, banjos, and fiddles. Getting rowdy beneath a starry, Summer night sky. Listening, in awe, from the seats of iconic country music venues, with history so rich you can practically taste it. 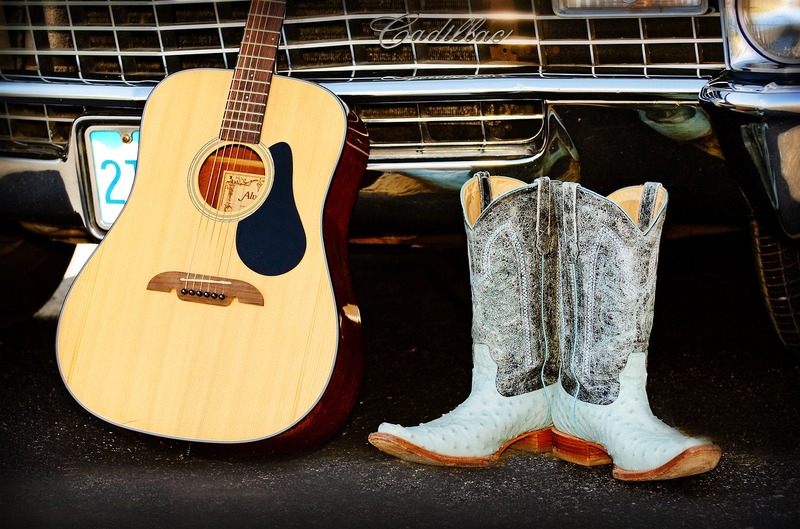 Looking for the best country concerts near you? This is where it’s at. Here are the Best Country Concert Tours in 2019. Superstar country duo Tyler Hubbard and Brian Kelley, better known as Florida Georgia Line, have officially extended their tour dates and Las Vegas residency further in 2019, giving fans an opportunity to catch this incredible act into the Fall. “We just want to make sure we’re doing everything in our power to make sure we’re giving our fans the best performance we can,” Hubbard and Kelley share. “We’re going to go big, as we always do, bring the energy, bring the production and it’s going to be a great time.” Don’t miss Florida Georgia Line, as they continue to perform one of the best country music concerts on the circuit. It’s going to be a crazy Summer for the Country trio Lady Antebellum, who will be splitting their time between Las Vegas and being on the road. According to bandmates, Lady Antebellum’s Las Vegas Residency has shaped up to being quite the special show. “We have the big moments, and the horns and all that, but then we really have an extended stripped down moment, that’s probably our favorite part of the show,” Chris Kelley tells Billboard. Lady Antebellum also has a new single coming out in May, titled “What if I Never Get Over You,” which they are looking forward performing for audiences both in Vegas and nationwide. Garth Brooks, nearing 60, has announced a number of Summer concerts set in more momentous settings, stadiums and arenas where wife Trisha Yearwood can adequately tailgate her hubby’s shows. So far, Garth Brooks has been drawing enormous crowds to his shows, including a record breaking number at Arizona’s State Farm Stadium with 77,653 tickets sold. Don’t miss Garth Brooks, a Country music deity, on this massive stadium tour. In September 2018, Luke Combs served as the opener for Jason Aldean at Nashville’s Bridgestone Arena. Just over a year later, after being Grammy-nominated for “Best New Artist”, Combs will return to the 20,000 capacity venue to perform a headlining set of his own. Combs has been flying high after his 2017 debut album This One’s For You, and most recently, the single “Beautiful Crazy”—which has sat atop the Country Airplay survey for five consecutive weeks now. Don’t miss your chance to see Combs on his celebratory, “Beer Never Broke My Heart” Tour. The band known for their signature harmonies, palpable energy, and onstage camaraderie. Ten albums later, Rascal Flatts is undeniably one of the most important trios in country-pop music. Rascal Flatts have been dominating both Country and Pop airplay for years, with over 27 million records sold and seventeen No. 1 hits. Need a reminder of this vital group’s onstage expertise? Just watch their latest music video for “Back to Life“, recorded at what was definitely one of the most iconic shows to ever take place at Red Rocks Amphitheater. This Spring, Luke Bryan will kick off the “Sunset Repeat” Tour. Taking its name from Bryan’s 2018 Number One hit “Sunrise, Sunburn, Sunset”, the tour will run through the Summer, and include a couple of festival performances (Houston Rodeo, Stagecoach, Crash My Playa). Supporting the “What Makes You Country” star will be Cole Swindell, Jon Langston and DJ ROCK. It will in fact be a “Very Hot Summer” for Thomas Rhett this season, as he gears up for a joint tour with Dustin Lynch and Russell Dickerson. The “Very Hot Summer” Tour will serve to promote Rhett’s upcoming album Center Point Road, set to drop May 31st. Center Point Road will include the recently released “Look What God Gave Her“, penned by Rhett, Julian Bunetta, John Ryan, J Cash, and even his father Rhett Akins—who will be joining his son for special dates on the “Very Hot Summer” Tour. Those of you who are attending Christ Stapleton’s 2019 tour will have the privilege of catching the talents of Margo Price, who recently stunned the Jimmy Kimmel audience with her strong and steady performance of “Cocaine Cowboys”. Just a few years ago, Price was still scraping by to get from one gig to the next. But after her debut album, 2016’s Midwest Farmer’s Daughter, Price’s rise was meteoric. Midwest Farmer’s Daughter was lauded in the Top 10 on Billboard’s Country Albums chart, in addition to gracing Best-Of lists everywhere from Entertainment Weekly to NPR Music. Price definitely won’t be a supporting act for very much longer. Check Price’s tour schedule for when you can catch the singer on Christ Stapleton’s “All American Road Show” tour. From winning the 2006 season of Nashville Star, to being inducted into the Grand Ole Opry, Chris Young has been a huge contributor to contemporary country music as we know it. Six albums deep, Chris Young continues to dominate the charts, most recently with his single “Raised on Country“. The track pays homage to the genre’s greatest icons, including Merle Haggard, Willie Nelson, George Strait, Alan Jackson, and Hank Williams Jr. Now, Chris Young has announced the “Raised on Country Tour”, which begins in May. Tickets will go on sale February 15. This past September, Carrie Underwood released Cry Pretty, which debuted No. 1 in the Billboard 200, making Underwood the first female artist to bring four country albums to the top of the all-genre chart. After the birth of her child with husband Mike Fisher, Carrie Underwood will embark on the “Cry Pretty 360” Tour, with special guests Maddie & Tae and Runaway June, the first show scheduled for May 1st in Greensboro, North Carolina. Can you believe Brad Paisley has been recording and performing for twenty years now? Those of you who’ve seen him in the past few years know he is still in the perfectly rowdy shape to throw incredible concerts. The “Bucked Off” singer will embark on his 2019 tour in May and will be performing mostly in amphitheaters, casinos, arenas, and a few music festival stages. Paisley will be supported by rising acts Chris Lane and Riley Green. Zac Brown Band will be extending their “Down the Rabbit Hole” Tour, the past of which includes a historic nine consecutive sold-out shows at Fenway Park in Boston. In addition to hitting the road next Spring, Zac Brown Band has released a new single, “Someone I Used to Know“, with the promise of more new music on the way. We can definitely expect to hear new singles leading up to Zac Brown Band’s “Down the Rabbit Hole” Tour, which kicks off March 2019 in Tulsa, OK. This upcoming Spring, Blake Shelton will embark on the “Friends and Heroes” Tour, featuring veteran country musicians Tracy Adkins, John Anderson, and the Bellamy Brothers, in addition to special guest Lauren Alaina. Shelton told Billboard, “I think that this is going to be a great opportunity for the country music fan base to be re-introduced to these guys and, selfishly, I’m just excited to share the stage with them!” For a country concert that spans decades in a matter of hours, Shelton’s “Friends and Heroes” Tour is the ticket to buy this Spring. Recently, Little Big Town wrapped up a co-headlining tour with Miranda Lambert, but they will be touring again into this upcoming Spring. “The Breakers” Tour will feature special guests Midland and Ashley McBryde at every date. Though they haven’t released much lately, Little Big Town began 2018 by winning a Grammy for their hit single “Better Man” from The Breaker. Known for their fantastic covers and raucous concerts, Little Big Town is an act you don’t want to miss. The first female winner of The Voice also became a member of the inaugural class of CMT’s Next Women in Country Tour. Now, after releasing her sophomore album Stages, Cassadee Pope is preparing for not one but two tours. One, with Maren Morris on her Girl: The World Tour. The other, as the headlining performer for this year’s Next Women in Country Tour. With Stages being a Number One album, as well as containing huge hits such as “One More Red Light“, we think Cassadee Pope is well slated to become a huge influencer in the country music genre. Jason Aldean, the reigning Academy of Country Music Entertainer of the Year, will embark on a 30-date tour in 2019. The “Ride All Night” Tour will follow Aldean’s appearances at Tortuga Music Festival in Florida and Stagecoach music festival in California. “Ride All Night” supports 2018’s Rearview Town, which included the hit songs “You Make It Easy” and “Drowns the Whiskey” featuring Miranda Lambert. Aldean will be supported on tour by Kane Brown and Carly Pearce. Last March, Kacey Musgraves continued her journey as a Nashville outlier, and released the beautifully penned Golden Hour. Against considerable odds, specifically Chris Stapleton’s From a Room, Vol. 2, Kacey Musgraves took home the almighty Album of the Year award at the 2018 CMA’s. Though the other nominees received much more airplay than Musgraves, who’s had very little support from country radio since 2013’s Same Trailer Different Park, it seems that Golden Hour was the record to wake country music fans up to her talent. Not to mention, the artist’s “oh: what a world” tour will be even better from this incredible accomplishment, which must’ve put a notch of confidence in her already dazzling performances. The Unapologetically singer Kelsea Ballerini will embark on a 14-date North American tour next April. The “Miss Me More” Tour will feature special guests Brett Young and Brandon Ratcliff. The 25-year old singer just wrapped up a tour with Keith Urban, but the “Miss Me More” Tour will be Ballerini’s first headlining tour of this size. More recognized than ever as the very talented, rising country star she is, Kelsea Ballerini will be playing within the Grand Ole Opry walls in no time. This past September, at a sold-out Ryman Auditorium, Old Dominion performed a rare, full set, featuring a spectacular number of guests. The concert became a milestone for the band, the perfect fuel for an upcoming tour, and album release. Recently, Old Dominion released “Make It Sweet“, the first taste from their new album, and the title of this Winter’s tour. According to the band, the new album will be completed by January 1st, and on the shelves sometime next Spring. Named after the second single from 2018’s The Wilderness, Dierks Bentley’s upcoming “Burning Man” Tour will kick off in Canada, with dates scheduled into Spring. Bentley will be joined by Jon Pardi and Tenille Towns, with special appearances by Bentley’s country parody band, Hot Country Knights. And if you happen to see a little plane flying overhead, booking it home after the concert? You could be watching Dierks Bentley himself, piloting home. Following the release of his latest album Desperate Man, country singer Eric Church will embark on the “Double Down” Tour, which includes two nights at each stop. Each performance will be unique, making it completely justifiable to catch Church two nights in a row. The only lone performance will take place at Nashville’s Nissan Stadium. This is the second time Eric Church has taken on a tour of this immensity, the first being 2017’s “Holdin’ My Own Tour”. Last year, Nelson released not one, but two albums, including My Way, Nelson’s tribute to Frank Sinatra’s songbook. Now, Willie Nelson & Friends, along with Alison Krauss, will be touring nationwide, performing mainly outdoor amphitheaters, waterfronts, and pavilions. Fans can expect to hear plenty from My Way and Last Man Standing on this upcoming tour, in addition to hearing Willie Nelson’s classics.